We may update these Customer Terms and any aspect of the Service from time to time and will notify such changes to you by uploading details of them on the Site. You should review the Customer Terms periodically for changes. By using the Site you agree to be bound by these Customer Terms. If you do not agree to these Customer Terms then please do not use the Services or any part of them. The Services are operated by Motor Sport Magazine Ltd. We are registered in England and Wales under company number 05471049 and with our registered office address at 16 Rosemont Road, London NW3 6NE. If you choose, or you are provided with, a customer number, password or any other piece of information as part of our security procedures, you must treat such information as confidential, and you must not disclose it to any third party. We have the right to disable any user identification code or password, whether chosen by you or allocated by us, at any time, if in our opinion you have failed to comply with any of the provisions of these Customer Terms. You should carefully review the Terms and Conditions, the email confirmation of your order and the applicable details on the product page in relation to the order. If there is any conflict or inconsistency between these Customer Terms and the email confirmation of your order or the applicable details on the product page, these Customer Terms shall prevail to the extent of the conflict or inconsistency. We cannot give any undertaking, that goods and/or services you purchase from our partners will be of satisfactory quality, and this and any other such warranties (whether express or implied) are disclaimed by us absolutely to the fullest extent permitted by law. This disclaimer does not affect your statutory rights. Where you order goods and/or services through the Site we may disclose your customer information related to that transaction to the relevant supplier. (b) Nothing in these Customer Terms shall limit or exclude our liability for fraudulent misrepresentation, for death or personal injury resulting from our negligence or the negligence of our agents or employees or for any other liability that cannot be limited or excluded by law. All orders placed by you and purchases of goods from us are subject to acceptance by us either by delivery of the goods to you. The processing of your payment and acknowledgment of your order (including sending you an email confirming your order is being processed) does not constitute legal acceptance of your order. All orders placed by you and purchases of goods by you from us, are subject to acceptance by us. We may choose not to accept your order or purchase for any reason and will not be liable to you or to anyone else in those circumstances. Purchases for goods and/or services you make with Sellers may only be paid for using the payment methods we make available from time to time through our payment facility. You accept that some banks may charge you an additional fee for certain transactions (for example, international transactions). You accept that item prices in the currencies displayed do not vary according to your location; delivery charges will vary depending on the destination to choose to have the item delivered. For delivery destinations within the EU prices include VAT or other sales taxes where applicable. For delivery destinations outside the EU, prices do not include VAT or other sales taxes. Your shopping basket on the Site displays the goods you have chosen, and details of postage and packing. The delivery costs vary according to the delivery methods and individual products. Any delivery times quoted are in working days and vary between products and suppliers. When ordering multiple items please be aware that items may be dispatched by different suppliers and therefore items may not arrive together at the same time. Where we or a supplier are prevented from or delayed in carrying out obligations under these Customer Terms due to circumstances beyond our or the Seller's reasonable control including, without limitation, acts of God, governmental actions, war or national emergency, riot, civil commotion, fire, explosion, flood, inclement weather, epidemic, lock-outs, strikes or other labour disputes (whether or not relating to the Seller's workforce), or restraints or delays affecting carriers or an inability or delay in obtaining supplies of adequate or suitable materials then either our or the Seller's (as the case may be) performance of its obligations shall be postponed for the period of time that the circumstances continue. General comments about the Site are welcome, please contact us here. Complaints about a specific supplier, goods or services must be directed to us directly and where relevant will be passed on to the supplier under the terms of their agreement. All UK deliveries are carried out by Royal Mail. When ordering multiple items please be aware that items may be dispatched by different suppliers and therefore items may not arrive together at the same time. International deliveries All deliveries to international destinations are carried out by our international mailer. Depending on the age of the back issue you order, they may show signs of wear from being stored for months/years. If you have any questions about a particular issue, please get in contact with us prior to purchase. Print subscriptions start with the next available issue which may take up to 6 weeks to arrive. Digital subscriptions begin with the most recent issue unless requested differently by the customer. We deliver to all international destinations, including BFPO and US AFO/FPO Overseas Military locations. If the subscription that you purchased includes a free gift, please allow up to 28 days for delivery. Gifts are sent out separately to your subscription copy of the magazine. If you bought a gift subscription, any free gifts will be delivered to the purchaser unless requested otherwise. We reserve the right to substitute the gift advertised for one of equal or greater value if circumstances require. In some cases, if a subscription offer includes a gift with a limited number available, no further gifts will be offered to those subscriptions received after the limit has been exceeded. Please check the terms and conditions of the specific offer at the time of ordering. However all other discounts on the subscription price remain applicable. Direct Debit offers are often preceded by with a short term trial period e.g. 3 issues for £1. We reserve the right to limit the number of trial subscriptions taken up consecutively if subscriptions are cancelled during the trial. If there are any changes to the amount, date or frequency of your Direct Debit, Motor Sport Magazine will notify you 10 working days in advance of your account being debited or as otherwise agreed. 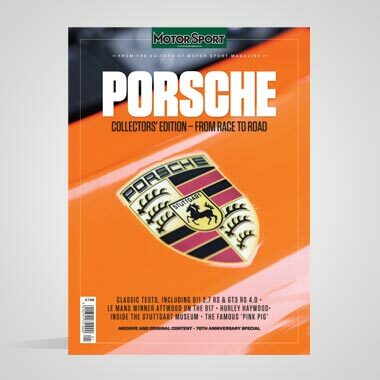 If you request Motor Sport Magazine to collect a payment, confirmation of the amount and date will be given to you at the time of the request. If an error is made in the payment of your Direct Debit, by Motor Sport Magazine or your bank or building society, you are entitled to a full and immediate refund of the amount paid from your bank or building society. If you receive a refund you are not entitled to, you must pay it back when Motor Sport Magazine asks you to. Your subscription is protected by our FULL Money-Back Guarantee. If, for any reason you’re not satisfied you can write to cancel at any time and receive a refund of the cost of all unmailed issues. See how many issues remaining. To login, simply click here and complete your subscriber login details. If you have done this already and have a password, simply complete your customer login details. Please allow 48 hours for any changes to appear. If your enquiry is regarding Digital access or how to download your App, please visit our Digital FAQ page for information. Should you continue to have access problems, please let us know and we will get back to you as soon as possible. All bookings for the Hall of Fame will be confirmed by email within 5 working days. If you do not receive confirmation of your booking, please contact Helena.barrow@motorsportmagazine.com. The confirmation email will include a receipt of your payment or a copy of your invoice. Bookings may be paid by credit card at the time of booking; otherwise we will invoice you. Please note the payment must be received in full before the event. Invoice payments must be received by Motor Sport magazine within 30 days of the invoice date or by close of business 5 working days before the event, whichever is the earlier. For bookings made within 28 days of the event, a credit card payment will be required. Only payment in Sterling will be accepted. Cancellations must be made in writing to the contact at the address below. If you cancel on or before April 30 2018, we will refund your booking fee in full. If you cancel after May 1 2018, no refund will be given. If we cancel the function we will refund all booking fees paid. We do not, however, accept liability for travelling, accommodation or any other expenses incurred as a result of any cancellation or postponement of the event those lie solely with the delegate. Our liability for loss or damage incurred as the result of cancellation or postponement of the event is limited to the amount of your booking fee. These terms and conditions are governed by English law and the courts of England and Wales will have exclusive jurisdiction over any dispute. It may be necessary for reasons beyond our control to alter the venue or the date of the event. We will give you as much notice as we can and your booking will be transferred to the new venue or date. The advertised guest/cars list may change in the run up to the event and the attendees/cars at the event may be different to the advertised guest list. Bookings may be paid by credit card at the time of booking; otherwise we will invoice you. Please note the payment must be received in full before the event. Invoice payments must be received by Motor Sport magazine within 30 days of the invoice date or by close of business 5 working days before the event, whichever is the earlier. For bookings made within 28 days of the event, a credit card payment will be required. Only payment in Sterling will be accepted. If you cancel after booking, no refund will be given. If we cancel the function we will refund all booking fees paid. We do not, however, accept liability for travelling, accommodation or any other expenses incurred as a result of any cancellation or postponement of the event those lie solely with the delegate. Our liability for loss or damage incurred as the result of cancellation or postponement of the event is limited to the amount of your booking fee. These terms and conditions are governed by English law and the courts of England and Wales will have exclusive jurisdiction over any dispute. Please note if you do not meet with driver or car guidelines you will not be permitted to drive on the track and you will not be entitled to a refund. If for any reason the track managers do not deem you or your car safe you will not be permitted to partake in the event and Motor Sport Magazine reserve the right to retain all money paid. We reserve the right to refuse entry to the track for any of the reasons stated above. Cancellations for track days must be made in writing 14 days before the event, refunds will be made with an administration fee deducted. All track day attendees must obtain the correct insurance for a track day and this is their responsibility to do so. Motor Sport Magazine to do not take any responsibility for any damage to cars or persons. All track day attendees must sign a disclaimer stating that they par take in the event at their own risk. Motor Sport Magazine will not take any responsibility for any injury or deaths. 1. These rules specified by Motor Sport magazine apply to any competition or prize draw which is run by Motor Sport magazine including but without limitation to online and offline competitions and prize draws. By taking part in a competition or prize draw, you agree to be bound by the competition rules and by the decisions of Motor Sport magazine which are final in all matters relating to the competition or prize draw. 2. Unless otherwise stated, the promoter is Motor Sport magazine, 18-20 Rosemont Road, London NW3 6NE. 3. 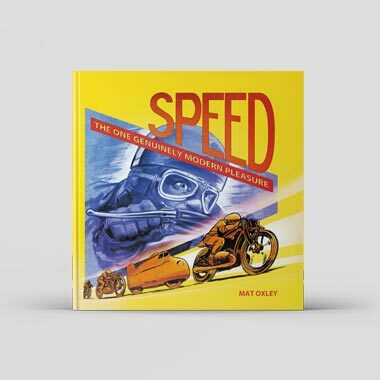 All prizes are subject to availability, and Motor Sport magazine reserves the right to replace the prize with an alternative product or products of equal or higher value if necessary at the discretion of Motor Sport magazine. 4. Only one entry per competition or prize draw, per reader. 6. The closing date is stated on each individual prize draw or competition. 7. Prize draws and competitions are only open to entrants aged 18 years or over. 8. The promotions are not open to employees (and their families) of Motor Sport magazine, their agents or related third parties. 9. Competition and prize draw winners are liable for any expenses incurred including but not limited to travel and accomodation, unless otherwise stated in the competition promotion. 10. Motor Sport magazine reserves the right to disqualify any entrant and/or winner in its absolute discretion for any reason and without notice in accordance with the rules. 11. Winner(s) will be selected at random after the closing date from all entries received. The judge’s decision is final and no correspondence will be entered into. 12. Winners will be notified by post, telephone or email within eight weeks of the closing date. 13. By entering any of Motor Sport magazine prize draws and competitions you agree to having your name published online or in a future issue of Motor Sport magazine. Tel: +44 (0)20 7349 8484 or Toll Free 1-866-808-5828 if calling from the USA. 1. By visiting our site you are legally accepting these terms. If you are not willing to accept them, we would ask that you leave the site immediately. 2. You are welcome to view and print hard copies of anything on this site for personal use. You are not allowed to copy or use anything on our site for any other purpose, unless authorised by Motor Sport Magazine. This includes all business, commercial and educational purposes. 3. We cannot guarantee that our site is free from viruses or defects or that your use will not damage your computer. 4. We do not take any responsibility for damage to any other equipment due to downloading any material from the site. Neither will you be able to claim against anyone who may have helped us put it together. 5. We cannot guarantee that the site will always be available without interruptions – as we do make changes to the site frequently and may have to take the site down, without warning, at any time. 6. We also try to make sure that everything on our site is as accurate as possible but we do not promise that it is or take responsibility for, any mistakes that we may have made – you use our site your own risk. 7. We take no responsibility for any views, omissions or errors found on our site and assume no responsibility for its contents. 8. We cannot take responsibility for or endorse the content of any other website you may access through our site. 9. The links are provided as a means of assistance and convenience to those accessing our site. 11. We aim to promote informed and civilised discussion. Information should not be transmitted within the site that is in any way libellous, obscene, discriminatory, defamatory, seditious, blasphemous, threatening to other individuals, in breach of copyright or confidentiality, or otherwise unlawful. 12. Users are legally responsible for what they submit to the site and accept full and unlimited liability for their submissions. Furthermore, by submitting material for inclusion, the user hereby agrees to indemnify Motor Sport Magazine and associated partners and commercial suppliers of services against all claims (damages, losses and compensations) resulting from their submission. 13. 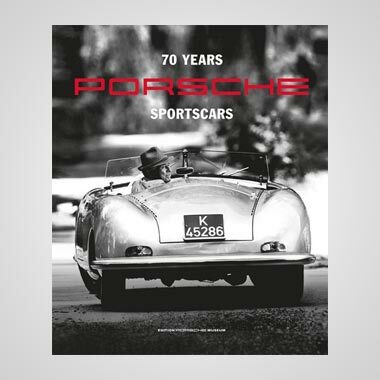 In so far as is lawful, submission of material for publication by electronic or other means by Motor Sport Magazine or an associated company constitutes the assignment of intellectual Property ownership rights from the originator to the Publisher. 14. No liability extends to owners of the site or organisations, partners or individuals explicitly directed by such owners for the purposes of developing, managing or otherwise supervising the site. 15. All messages should include the full name and return email address of the message sender. All messages and submissions may be edited or removed at the discretion of the site owner or site moderator. 16. In the event of any dispute with us, these terms and conditions will be governed by English Law. If any one of these terms is considered unlawful then they shall be deemed several and shall not affect the validity and enforcement of the remaining terms or conditions. You may not use this section to post any material which is knowingly false and/or defamatory, inaccurate, abusive, vulgar, hateful, harassing, obscene, profane, sexually oriented, threatening, invasive of a person’s privacy, or otherwise violative of any law. You may not promote any service (including non-commercial) whether by means of providing a link, or by means of contacting the users of this website. Furthermore, advertisements, spam, chain letters, pyramid schemes, and solicitations are prohibited on this website. Also note that we reserve the right to ban external websites or web pages. You may not post links to external links other than YouTube. Personal attacks against other users are strictly prohibited. Try to stay on-topic. While reasonable deviations will be permitted, using the comments section to further your personal agenda will not. Please post only one comment at a time: no ‘double posts’ please. The Motor Sport website is aimed at offering its members a place to discuss motor racing issues. Posts that are solely aimed at instigating fights, insulting or disrupting service will be removed and will lead to a ban. The Motor Sport website is moderated by forum hosts and administrators. Attacking a host or an administrator because of their work is not tolerated under any circumstances. We welcome you contacting us with feedback. However, the way the website is run or the actions of the moderation team are not topics to be debated in public. Any such comments will be removed. The hosts and administrators have the ability to remove objectionable messages and we will make every effort to do so, within a reasonable time frame, if we determine that removal is necessary. This is a manual process, however, so please realise that we may not be able to remove or edit particular messages immediately. Although the administrators and moderators of the Motor Sport website will attempt to keep all objectionable messages out of the comments, it is impossible for us to review all messages. In a case where you come across an objectionable comment, please bring it to our attention and do not respond to it. By responding to an objectionable post, you are simply adding more work for the host/administrator. When comments are removed because they violate these terms, all posts that relate or reply to that removed comment will also be removed. In a case of repeat offence, the administrators may ban temporarily or indefinitely a user from participating. In a case where a user has more than one username, we reserve the right to ban one or all of his or her accounts. Furthermore, you should not use more than one username to actively participate on the forum. You may not re-register after being banned from commenting. Any attempt to do so will be detected and lead to the banning of all related accounts without warning. Derogatory, obscene or otherwise unsuitable usernames will be banned or erased at the discretion of the administrators. You must have a valid and working email in your profile at all times. If your email is not working and a moderator attempts to contact you, you will be banned.